Home / Pastor's Desk / Happy 131st ANNIVERSARY! Time flies! 131 years have passed since the Blessed John Baptist Scalabrini founded our Congregation to respond to the appeal of thousands of migrants. He saw the need to accompany them and support them in their quest for a dignified life. Last month we celebrated the XV General Chapter in Italy – Rome in renewing our vocation and mission to promote, to encounter, to dialogue and to proclaim among the migrants. In his address to the Holy Father on the occasion of the general chapter, our Superior General has recalled that our charism is “to journey with all migrants, refugees and seafarers and at the same time to journey with the local Churches, called to welcome, promote, protect and integrate them”. Our founder used to say that the society is flying, we cannot stay static, and we have to be dynamic. The Scalabrinian’s local community of Vancouver saw the need to move on in the Archdiocese to be closer to the neediest migrants of the local Church. Indeed, the idea became reality! It was in conformity with the XIV (CG XIV) General Chapter, focusing on the criteria of significance, exemplarity and specificity to make this move. 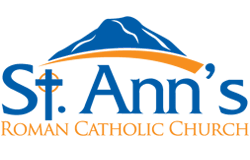 And, the purpose in taking St. Ann’s Parish was to be closer to the Seasonal Farm workers whom we have been ministering to in the Archdiocese for many years now and of course to serve the local Parish. Looking in a concrete way, our parish community is trying their best to journey with the Farm workers close by in so many different ways; in welcoming Refugee Families through the Refugee Sponsorship Program and welcoming many family migrants from different places on the world. Mindful of these advices from these two last General Chapters and the Holy Father, Pope Francis’ words; as a Scalabrinian parish community we feel responsible to announce the word to the migrants and walk with them. They come here looking for a better life. In other words, they come here to work. Indeed, they are working hard. Our mission is to continue walking with them, and learning together with them.